Dimensions 0.46 by 8.50 by 11 in. 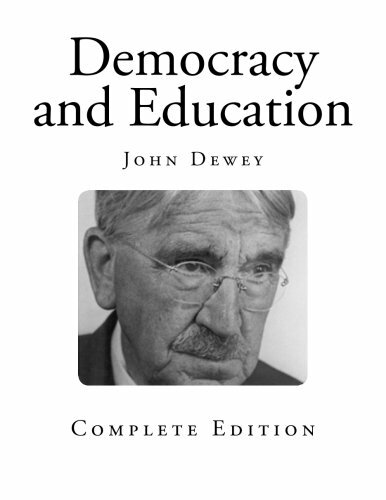 Amazon.com description: Product Description: Democracy and Education By John Dewey Complete Edition Democracy and Education: An Introduction to the Philosophy of Education is a 1916 book by John Dewey. Dewey's philosophical anthropology, unlike Egan, Vico, Ernst Cassirer, Claude LÃÂ©vi-Strauss, and Nietzsche, does not account for the origin of thought of the modern mind in the aesthetic, more precisely the myth, but instead in the original occupations and industries of ancient people, and eventually in the history of science. A criticism of this approach is that it does not account for the origin of cultural institutions, which can be accounted for by the aesthetic. Language and its development, in Dewey's philosophical anthropology, have not a central role but are instead a consequence of the cognitive capacity.